Historical. Rustic. Laid back. Pastoral. Provincial. These are the words that usually come to mind when you think of Ganghwado. Gyeongnidan-gil or Yeonnam-dong it is not, but Ganghwa-eup, the county seat of the west coast island, is turning trendy. Not so long ago, travelers often gave the town a pass, moving as quickly as possible to Ganghwado’s mountains and beaches. 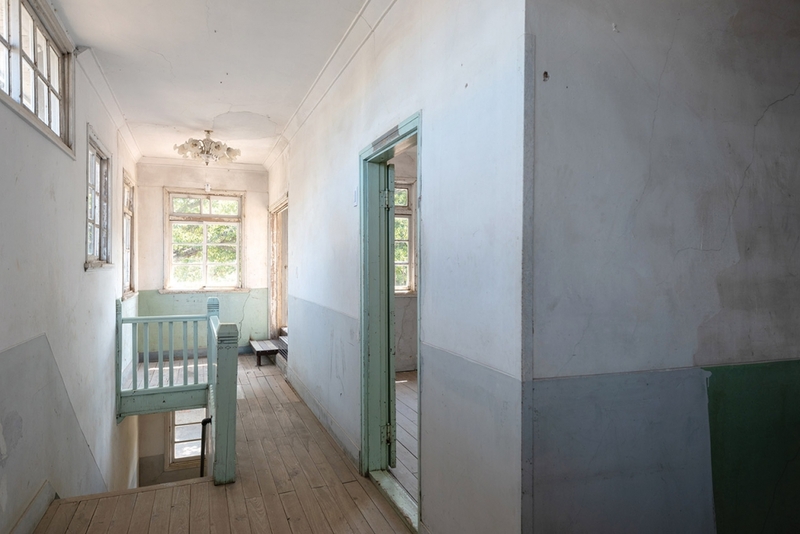 Now, however, local authorities and creatively minded residents are making local history fresh, restoring and renovating pieces of the community’s past and tying them together to create broader narratives reflecting the country’s modern history. The result is a town worth visiting on its own merits, a place where the story of 20th century Korea is entirely within walking distance. Though most people associate Ganghwado with its ancient dolmens, Goryeo palace ruins, Joseon fortresses, tranqil temples, sacred mountains, extensive mudflats and poignant views of North Korea, the island at the mouth of the Hangang River — sometimes likened to an unsinkable aircraft carrier guarding the road to Seoul — was a major industrial center. And not so long ago, either. From 1916, when Ganghwado’s first textile association was formed, to the 1970s, textile factories large and small covered the island, pumping out some of the nation’s finest fabrics. By the 1960s, there were some 6,000 hand-operated looms in private homes throughout the island and another 1,000 power looms at textile factories. In Ganghwa-eup alone, some 4,000 people worked in textile factories. The opening of larger, more modern textile factories in the Daegu region marked the end of Ganghwado’s textile golden age. Competition from imported fabric didn’t help, either. Most of the island’s textile factories closed down, though a handful still remain. One of the island’s oldest and largest textile factories was Choyang Textile (T. 032-933-2192). The factory, completed in 1934, is the oldest surviving modern textile factory in the country and two years older than Seoul’s more famous Gyeongseong Textile, founded by influential businessman, educator and politician Kim Seong-su in 1936. By the 1960s, Choyang Textile’s looms were producing Korea’s finest artificial fabrics. Like most of Ganghwado’s other looms, Choyang Textile eventually shut its doors, the old factory falling into disrepair. The historical property wasn’t town down, however. 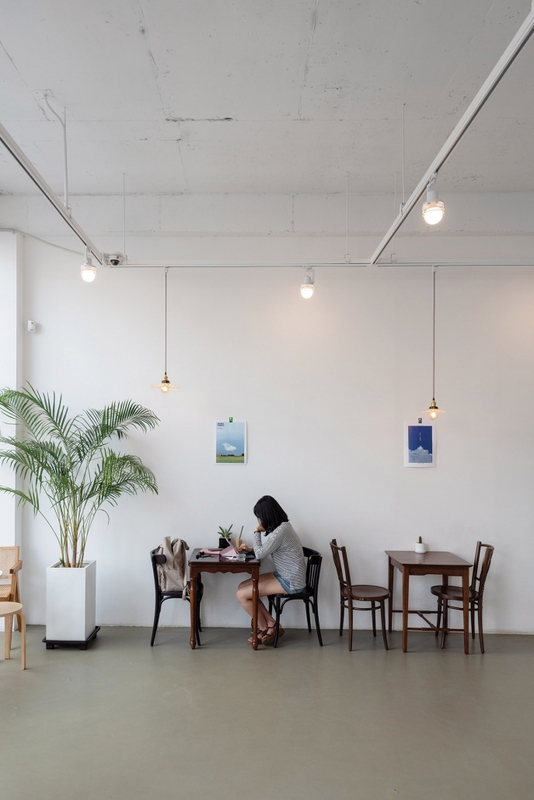 A couple from Seoul eventually acquired the site, which they renovated and turned into one of Korea’s hottest cafés. Opened in February of this year, the cafe — which kept the name of the old factory — is part museum, part gallery, part coffeehouse and all cool. 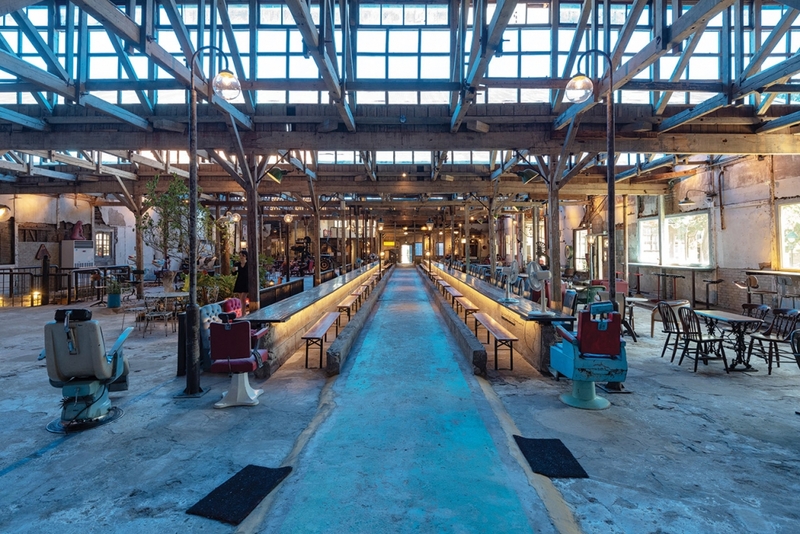 Its myriad spaces, from the high-roofed factory space to the colonial-style former office and even the old safe, have been preserved in their charmingly disheveled state, the addition of art pieces, vintage furniture and other antiques only accentuating the site’s historicity. In a strange way, it’s a bit like walking around a Roman ruin, but with coffee. On a weekend, the place is packed with visitors, many of them young and social media savvy. Be warned, though, that DSLR photography is strongly discouraged. Choyang Textile is one of the centerpieces of the so-called Sochang Course, one of three themed walking trails through Ganghwa-eup’s alleyways. 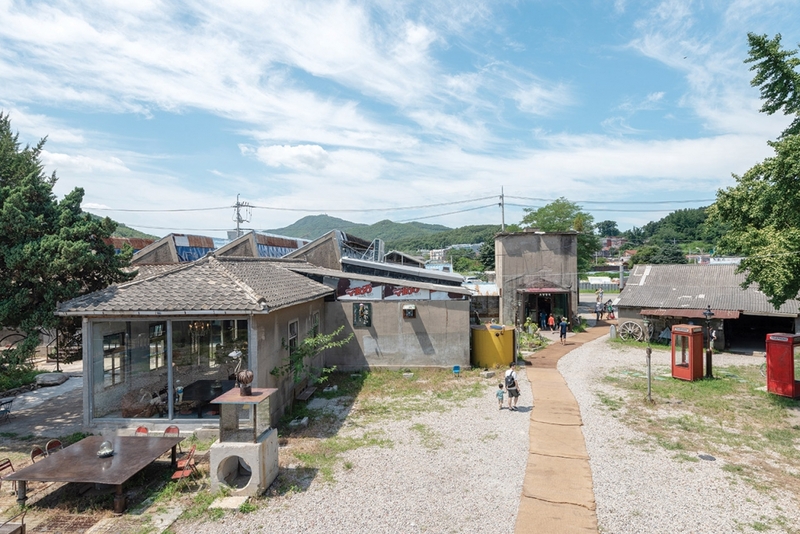 The Sochang Course focuses on Ganghwa-eup’s textile industry and the role it has played in the town’s history. The trail links the sites of some of the old factories. Though some of the factories have disappeared completely, pieces of others remain, including crumbling walls and lonely smoke stacks. One site on the trail definitely worth visiting is the Sochang Experience Center (T. 032-934-2500). The center boasts two historical properties, an old Hanok from the 1930s and a disused factory — now museum — from the 1950s. 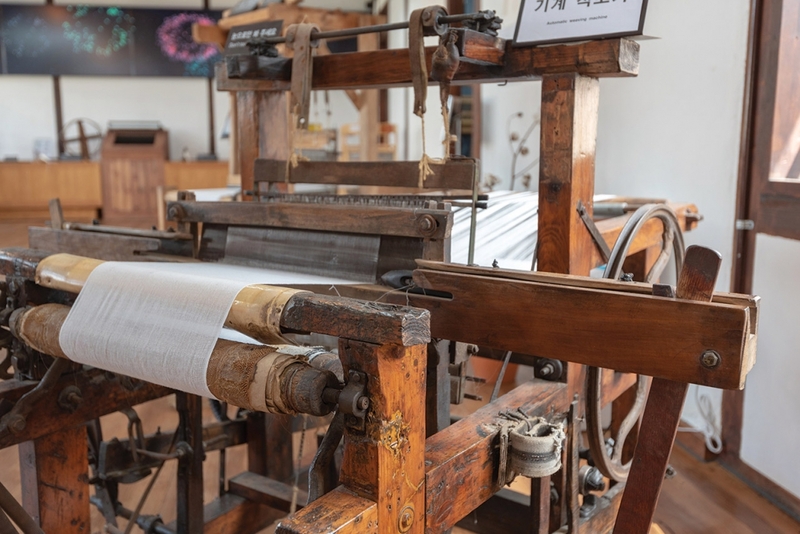 The space houses an exhibit of old looms and other textile machinery, shares historical information and hosts classes on textile making and other hands-on programs. It also has a gift shop where you can purchase locally made fabrics. As noted earlier, the Sochang Course is but one of three themed walking trails weaving their way through the alleys of Ganghwa-eup’s historical downtown. The Dongnip Undong Course takes you to sites connected to Korea’s struggle for independence. Though most of the destinations relate to the 20th century fight against Japanese colonial rule, one of the sites — the Joseon era stone monument to Kim Sangyong — is dedicated to a scholar official who blew himself up with a stockpile of gunpowder just as invading Manchu forces were taking Ganghwa-eup, where the Korean royal family had fled. The star of the Dongnip Undong Course is the so-called House of Kim Koo. 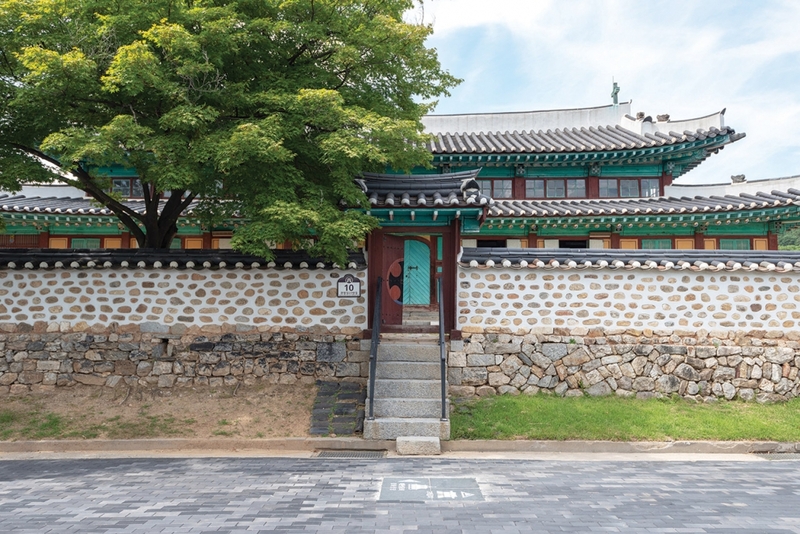 It is said the famed independence activist Kim Koo stayed at this charming old Hanok for three months in 1900, working as the headmaster of a local Confucian school. A photograph taken in 1946 lends some credence to the claim. 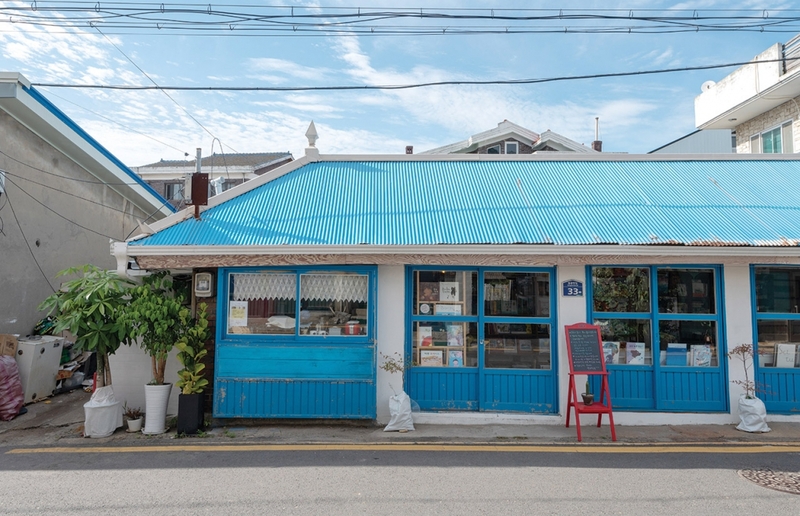 Near the house is the Nammunno 7 (T. 032-933-9300), a delightfully vintage café, and Sogeumbit Seojeom-Yurim Sanghoe (T. 032-934-3456), a conjoined bookstore and pottery shop run by a husband-and-wife team. The other trail is the Jonggyo Course, highlighting the town’s religious heritage. Confucian, Catholic and Protestant sites feature prominently on this excursion. The most breathtaking by far, however, is Ganghwa Anglican Church. Built in 1900 by a royal architect at the behest of British missionaries, the church is built in traditional Korean style, with colorfully painted eaves, tiled roof and wood and paper windows, though the spacial layout is that of a Roman basilica, with a high central nave, flanking aisles and clerestory. The church is one of Ganghwa’s most stunning sights. The walking trails aren’t all Ganghwa-eup has to offer. Even off the beaten track there are places to explore. For a bit of spiritual healing, find Ttalgi Books (T. 070-8865-0385), a small independent bookstore in one of the downtown’s old alleyways. 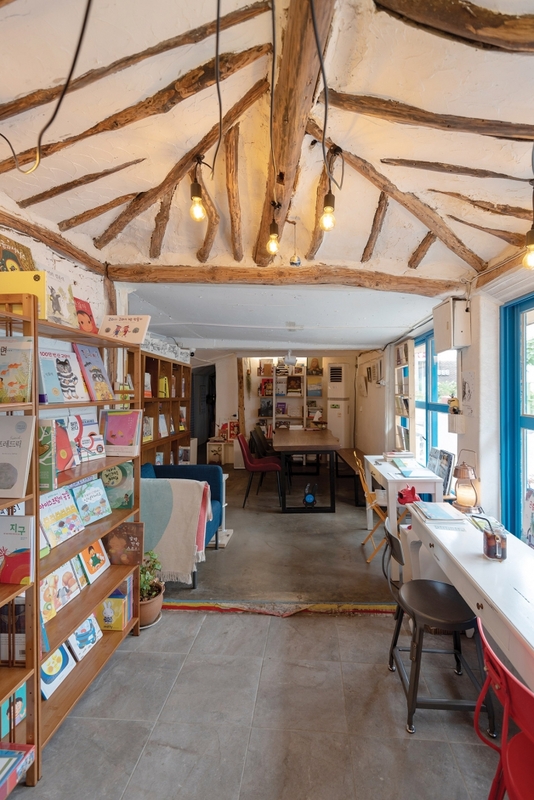 To make their shop, the owners renovated an old Hanok home, exposing the rafters of the original ceiling. Though small, the space is warm and inviting. The collection is heavy on picture books and children’s literature, though there are some interesting used books on sale, too. Coffee is also available. To sample a bit of the new Ganghwa-eup, try the nearby café Sol’t (T. 010-4083-8553). 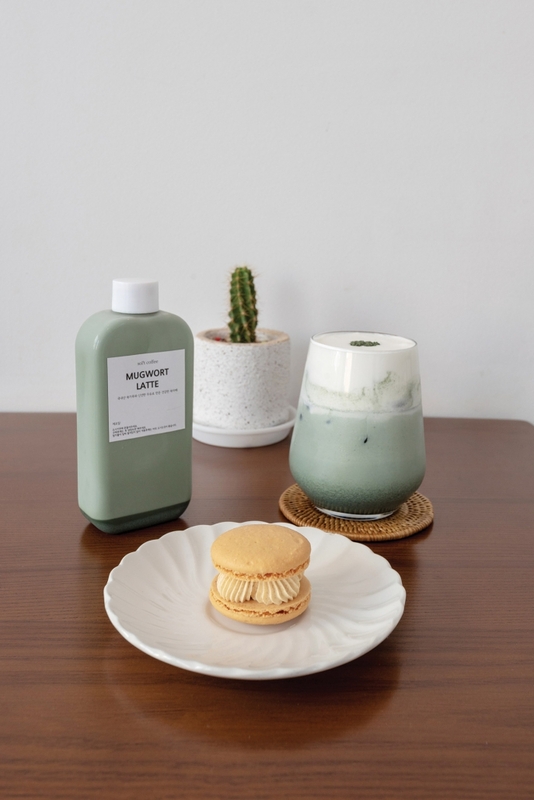 With its minimalist decor, handmade macarons and creative drink menu that includes a Ssuk Vienna, a cup of mugwort tea topped with cream, the place has all the hip sophistication of the best Yeonnam-dong or Seongsu-dong cafés. It makes the perfect spot to relax and Instagram a bit after a long day walking around. STAY> Need maps of Ganghwa-eup’s walking trails? Head to the tourist information center on the third floor of the B Wing of Ganghwa-eup’s Central Market. There you’ll find maps — in English as well as in Korean — along with VR exhibits and more. On the second floor, meanwhile, is a youth mall where young entrepreneurs have opened restaurants and other shops. It’s a popular place to eat, especially for local youth. GO> Bus No. 3000 to Ganghwado depart from a stop near the Hyundai Department Store in Sinchon (travel time: about two hours).